Peter van Kets made his name in the world of extreme adventure by winning the pairs division of the 5500km unsupported Woodvale Trans-Atlantic Rowing Race in 2008. He returned to the race in 2010 – this time solo. He spent 76 days alone in a seven-meter rowing boat and crossed the Atlantic unsupported. 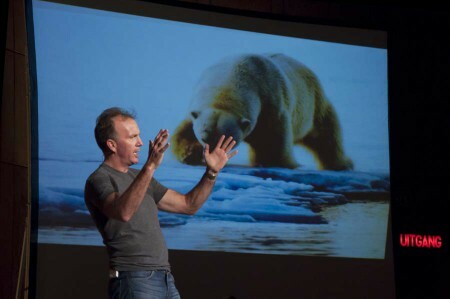 Pete spoke at the first FEAT event in Jo’burg in October 2010 and at the first FEAT Cape Town in February 2011. Together with Braam Malherbe, Pete raced across Antarctica to the South Pole during an unsupported, 888-kilometre event in 2011 that commemorated Scott and Amundsen’s journeys 100 years ago. Only a few months ago Pete headed again for snow and ice – this time North to the Arctic. He travelled to Svalbard with his Norwegian expedition partner Håvard Svidal. They sailed across the Barents Sea and spent 12-days trekking and skiing around the Svalbard Islands with a pack of sledding dogs. This year Pete returned to FEAT not only as a speaker, but also as our MC. At FEAT Pete spoke to us about his Svalbard adventures. We unfortunately had to pull his talk because of content that proved to be classified.